American Craftsman Renovations is a locally owned family operated general contracting firm that services Greater Savannah Georgia. 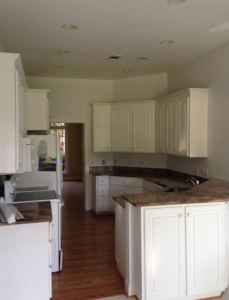 Homeowners in Savannah can rely on our general contractor and his team for: kitchen remodeling and renovations, bathroom remodeling and renovations, home additions, structural repairs, roofing services, and historic restorations. Savannah homeowners can remodel or renovate their kitchen in Savannah Georgia with professional general contractor American Craftsman Renovations. No job is too big or too small and you can rely on us to enhance your kitchen space the right way the first time. Work with us today to develop your design with us and let us help you breathe new life into your family home. Create a space that you have always wanted for your master bathroom in Savannah with the best bathroom remodeling services from American Craftsman Renovations. We can enhance your space with its existing layout by replacing your tile and your vanities or gut your bathroom and create an entirely new space; it all depends on your budget and needs. American Craftsman Renovations offers home addition services to Savannah homeowners that need to increase the square footage of their existing home. Relocating is a stressful experience and many times homeowners don’t want to leave behind their neighborhood and friends. Let us build onto your existing structure to create more useable space for your growing family. Did you know that we also offer structural repair services to homeowners in Savannah? 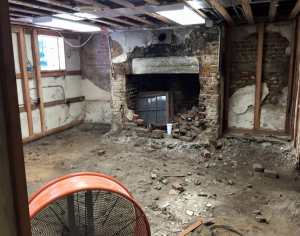 Homeowners in Savannah that are in need of foundation work, roof repair, or something in between can rely on American Craftsman Renovations to get your home repaired properly the first time around. Savannah Georgia general contractor American Craftsman Renovations provides the best historic restorations to historic property owners in Savannah. You don’t want to trust your historic restoration job to fly by night contractors or out of state firms that are looking to do a rushed job without paying special attention to detail. Trust American Craftsman Renovations with your restoration needs and experience exceptional quality and dedicated customer service.